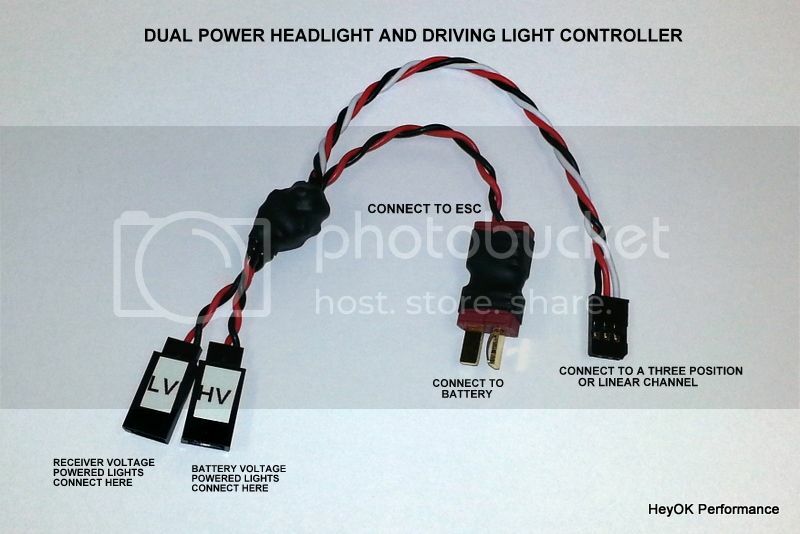 Do you have one of those crazy bright light bars that runs on 12 volts (or 3S Lipo) and also have lights that run from 6 volts (receiver voltage)? This controller works on a three position channel or linear channel and will let you have your lights off, or just the low voltage lights or both the low and high voltage lights on. I use a prototype of this controller on my Wraith. The LV output runs the Axial Simple LED Controller that came with the wraith and the HV output runs the light bar that I got from Crawler-Dad that needs 3S Lipo voltage to operate. Sometimes the lightbar is just too bright and I only run the simple LEDs but with a flip of the switch, they all come on!